The Sydney and Melbourne property markets have carried the lion’s share of home value drops so far this year, and a property valuation firm has outlined its predictions for how the cities and their suburbs will fare by the end of 2019. 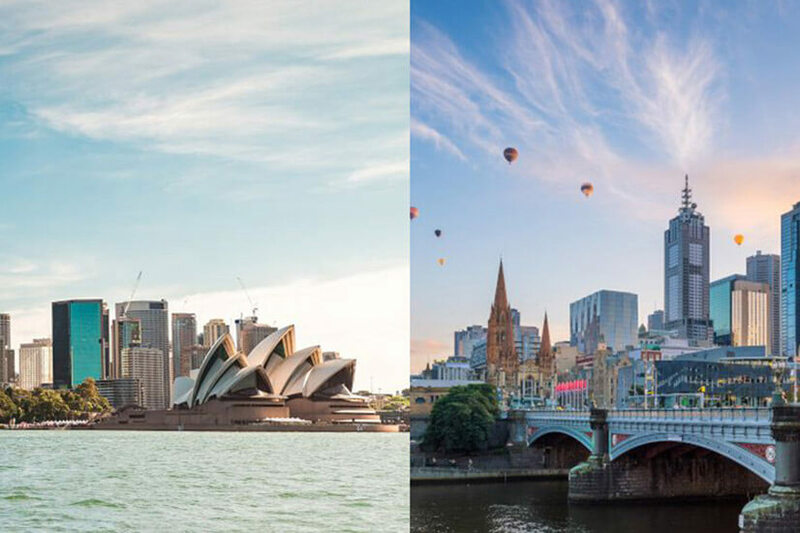 The February issue of Herron Todd White’s Month In Review report found that both the major Sydney and Melbourne markets will slow further in 2019, but by the latter half of the year, property prices should plateau following the end of state and federal elections. However, these two markets have differing outlooks for the year ahead, it said. Following the overall market softening in Sydney, the report said what was surprising in the market was a “sheer lack of activity from a purchasing and refinancing perspective”, while the majority of economic indicators would normally point to a steady residential market. “This downturn appears to have been strongly led by negative market sentiment and tightening credit availability as a result of the banking royal commission, along with previous APRA regulation changes,” the report noted. In the year ahead, the report predicted the market should plateau following the state and federal elections, as well as more certainty over the recommendations from the royal commission. “This is on the assumption that other economic indicators, such as interest rates, unemployment rates, and local and global economies, remain steady,” the report noted. Despite APRA’s removal of investor lending caps, the property valuation firm said it does not believe the harbour city will attract large numbers of investors to make a comeback, due to the current overall softening and potential tax changes should Labor win the federal elections. The events that unfolded at the Opal Tower are also predicted to impact sales of off-the-plan property, with build quality adding to concerns over supply and values declining below contract prices. In the inner city and eastern suburbs of Sydney, only small declines occurred, with demand still apparent around this area. Chippendale is one particular area the report states as being blacklisted by many lenders, due to an increase of supply near the Central Park precinct. “However, the final complex, known as Wonderland, has just settled and therefore the supply pipeline in the area is largely depleted,” the report noted. “This suburb, in close proximity to popular educational institutions, Central Station, China Town and the CBD, makes it an attractive investment or home – provided you have a 20 to 30 per cent deposit. The upcoming light rail infrastructure project, assuming it is close to completion by the end of 2019, will be one to watch, according to the report, and could see increased demand for suburbs including Surry Hills, Centennial Park, Randwick, Kensington and Kingsford. “This will change the face of the city, with George Street becoming more user friendly, businesses and cafés able to trade as normal, and (hopefully) decreased congestion,” the report stated. Luxury property, especially those over $5 million, saw strong performance in 2018 and this success is expected to flow through 2019, albeit slightly reduced. Much like Sydney, Melbourne’s inner suburban ring is expected to see signs of stabilisation in the latter half of the year, particularly for Port Melbourne, South Melbourne and South Yarra. Inner-city apartment prices, however, are expected to take a hit due to the number of new completions increasing in 2019. Looking to the east, agents are suggesting those selling should be considering longer marketing campaigns according to the report. “Many are also resorting to private sales rather than auctions and approaching clients one-on-one rather than executing a market-wide marketing campaign,” the report noted. Buyers can, however, take the time to ensure due diligence with the current buyer’s market, with property in the $700,000 to $900,000 range seeing solid demand. “Values in the blue-chip eastern suburbs of Hawthorn, Kew, Balwyn and Glen Waverley value fell approximately 20 per cent in 2018, though there are still pockets with demand in the greater eastern suburbs,” the report stated. With Sydney and Melbourne seeing the biggest value drops since the GFC, most of the predictions for the Australian property market have been largely negative so far in 2019. However, research houses like CoreLogic are reminding investors that despite the huge dives, the big picture indicates a strong growth trajectory. Among the other capital cities, Canberra rose by 230 per cent; Sydney, 201.9 per cent; Adelaide, 193.8 per cent; Brisbane, 182.8 per cent; and Perth, 148 per cent. You can read a more detailed rundown of the data here.